I’m on a layover in Asia again, but that’s nothing new. 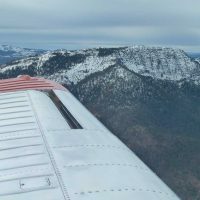 The westbound flight was really nice – hardly a bump the whole way. Our route this time took us across the northern Pacific quite a distance south of Anchorage. 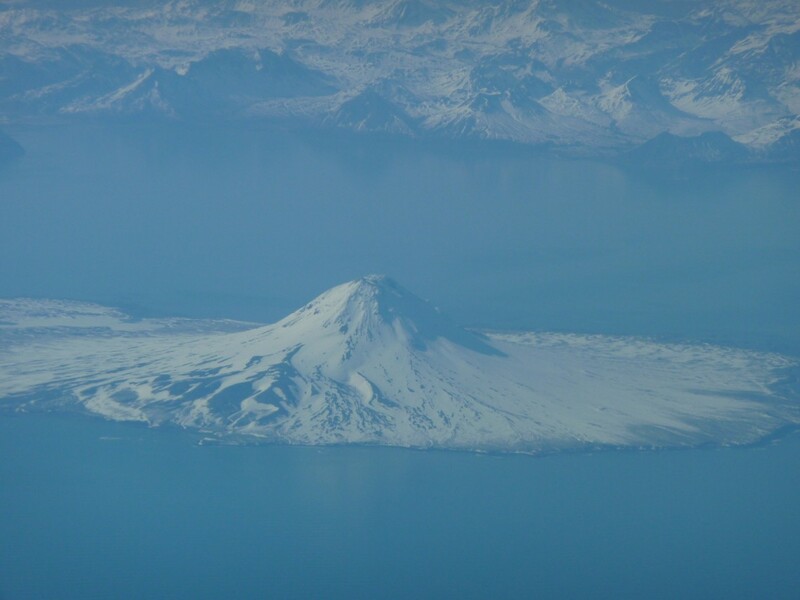 I took this picture looking north just as we passed over Kodiak Island. 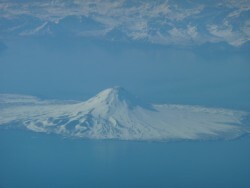 We believe we could see Mt. Redoubt and a small steam cloud rising quite a bit to the north of us, but one mountain out of many is not easy to pick out. The haze and distance prevented a photo. The captain I was sharing the cockpit with for the first half of the flight is an individual I had worked with before when we were both flying the 747-200. 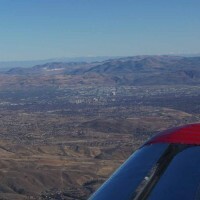 He’s a really nice guy and is a fellow light plane pilot. Unlike me though he didn’t buy his plane, he built it. 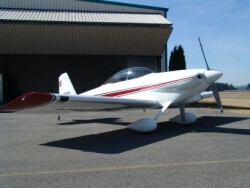 Steve has a really nice Van’s RV-4. He says he compressed a 4-year project into 15 years, but there were extenuating circumstances affecting his building effort. We’ll call them ‘family challenges’ and leave it at that. 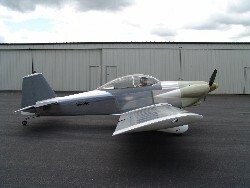 He says that both the plane and his kids turned out great, so whatever extra effort and time that it took was well worth it. 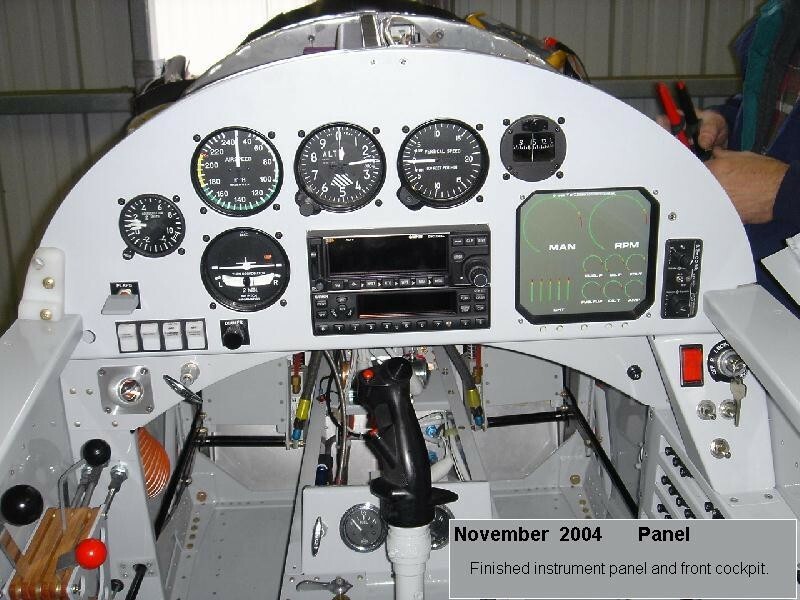 Way back when Steve started his aircraft building project Van didn’t have the wide range of kits and options that are available today. Steve bought what is affectionately (?) called the ‘slow-build’ kit for the RV-4. 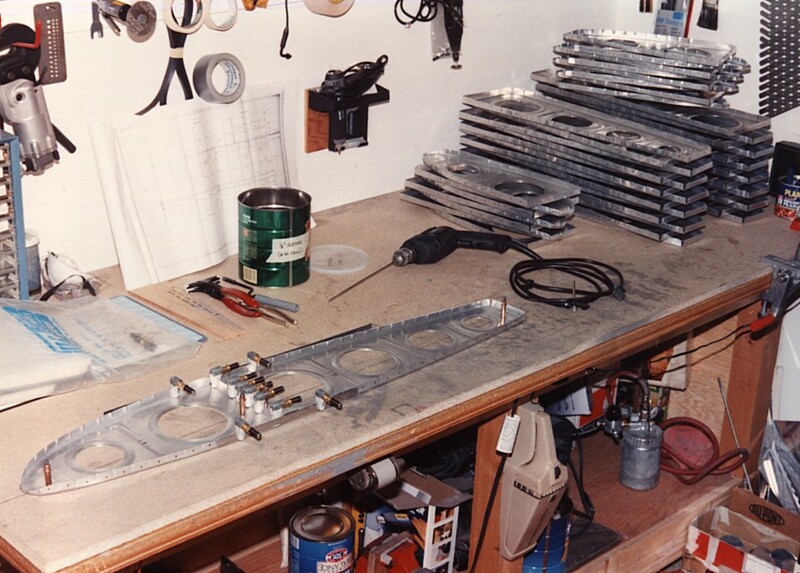 At that time there were no quick-build options and the kits didn’t come with pre-punched holes in the parts and skins. 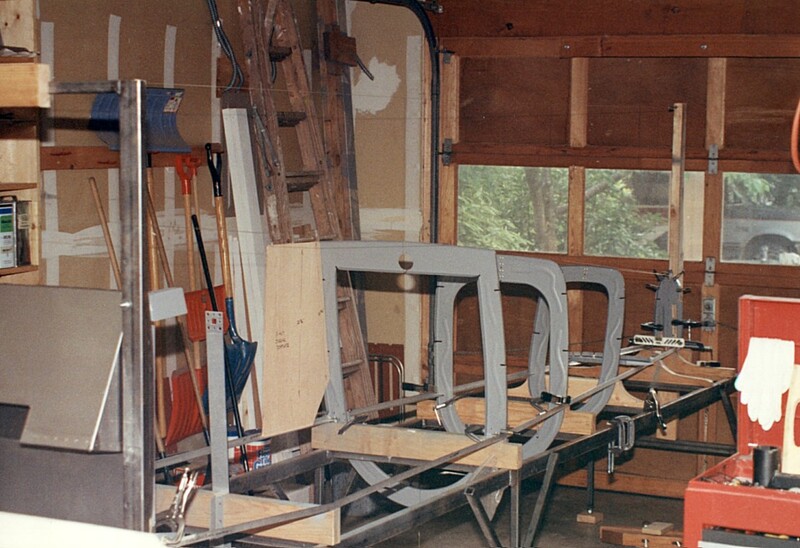 The early builders had to use rigid jigs and ingenuity to make sure that all the parts were aligned and fit properly. Steve had a USB key with him that had detailed photos of the entire project, some annotated with descriptions of the progress. I’ll add several to the end of this post. Since there are only two pilots on duty at cruise, when we need to take a ‘biological break’ we have to call a flight attendant up to the cockpit to keep the remaining pilot company and to let the second pilot back into the cockpit. 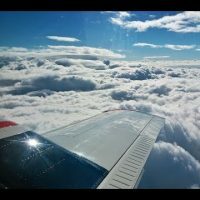 After one of those breaks the upper deck flight attendant stayed in the cockpit for a little while and the ensuing conversation revealed that she and her husband (not a professional pilot) also had a light plane. Her off-duty ride is an Aviat Husky. Very nice. Unfortunately no photos. She was severely chastised for the omission and ‘forced’ to endure multiple airplane picture presentations. Our block-out to block-in time for the flight was 13:21. Unfortunately, after we blocked in at our destination we remained on the aircraft for another hour and a half. When the aircraft door was opened the usual greeting party had been replaced by about a half dozen individuals dressed in what appeared to be white Tyvek biohazard suits, gloves, booties, masks, etc. We had all been required to fill out a new form for this arrival which was filled with questions related to the recent flu outbreak. A couple of the greeting party members took all the forms and started going through them while two others started going through the aircraft with what looked like a video camera. It was an infrared camera which was pointed at each of the passengers and crew to see if an abnormal body temperature was registered. Luckily no abnormal temperatures registered or we’d probably still be on the plane. Once the scan was completed, passengers were selected at random for a more thorough screening. Everyone on the aircraft was handed a face mask which was required to be worn upon exiting the plane and until clearing customs. Well, except for the station where they scan our passports, take our fingerprints and a facial photo. The photo recognition software didn’t like the masks. Go figure. Getting back to the fun part, here are some of the photos from Steve’s RV-building experience. 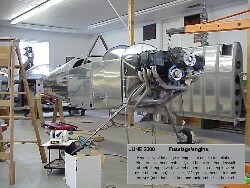 The left photo shows wing rib building in progress. 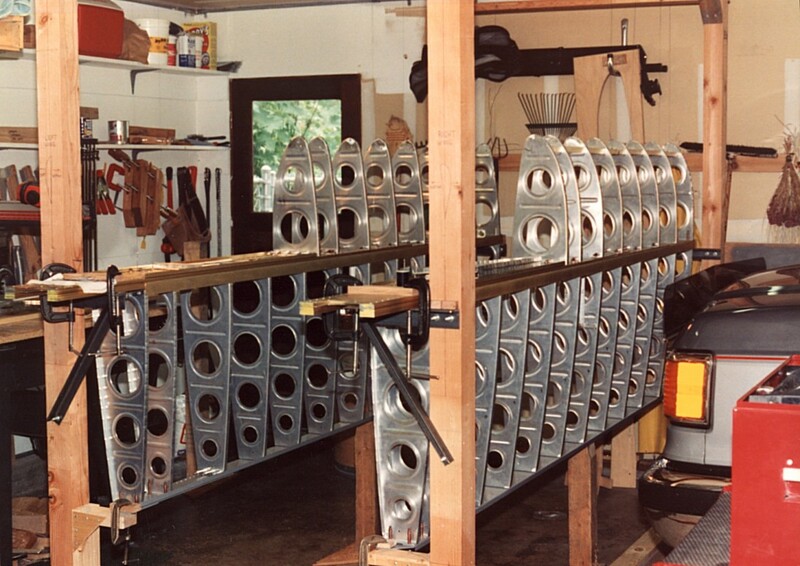 Many are already formed and some are now being drilled for riveting to the main spar. 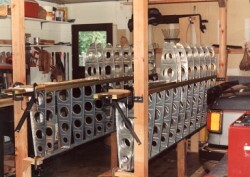 The right photo shows the placement of the first fuselage formers in a jig. 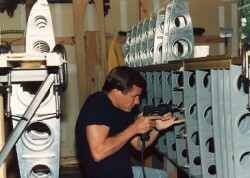 This is the third time that particular jig had been used to build an RV-4. 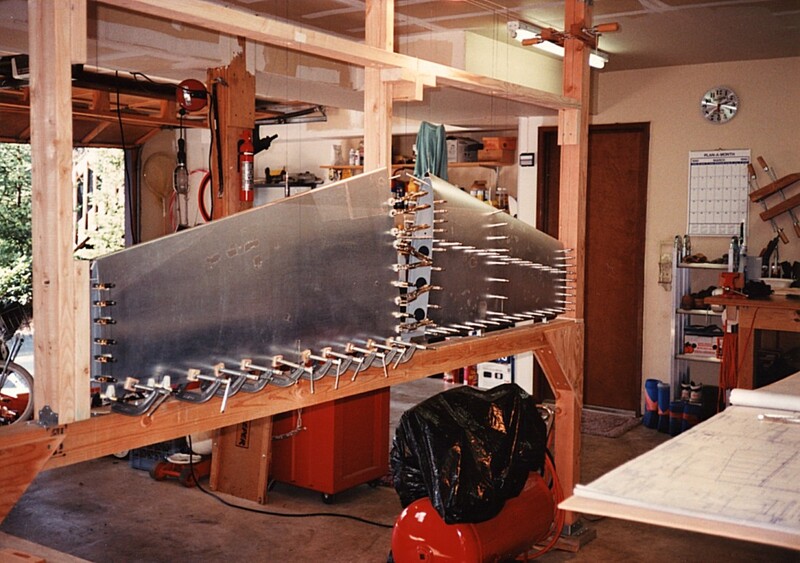 The photo on the left shows the horizontal stabilizer in the assembly jig with the skins held in place with clecos. The right photo shows Steve drilling the wing ribs, preparing for the installation of the wing skins. 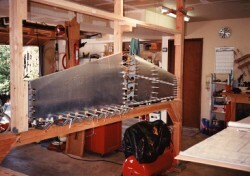 The photo on the left shows the partially completed wings in their jigs. 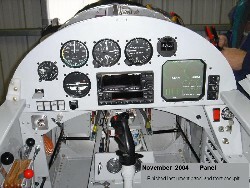 The right photo is of the completed front cockpit and instrument panel. 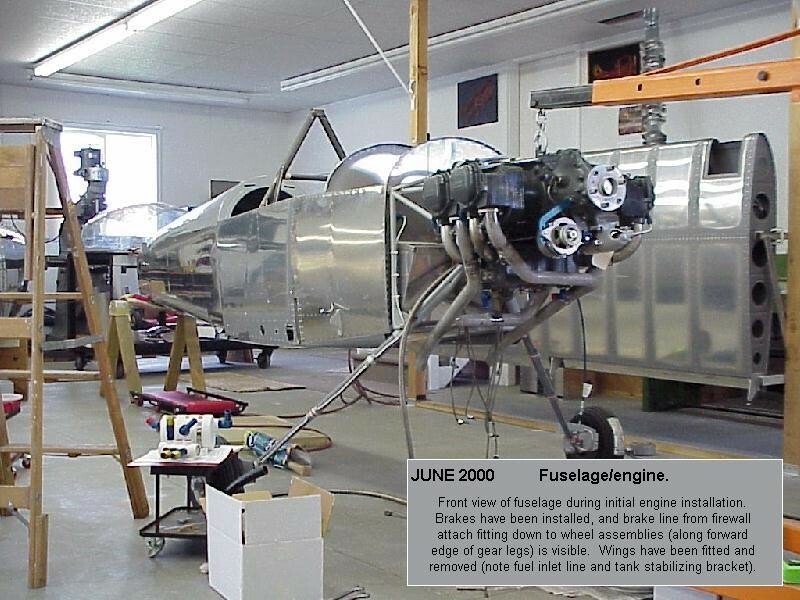 The photo on the left shows the engine being hung on the aircraft for the first time. Steve installed a 160 HP Lycoming in his RV-4. The right photo shows the completed engine installation with the shiny new valve covers. 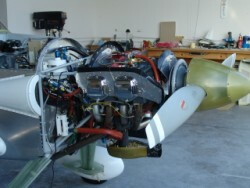 The photo on the left shows the engine being started for the first flight. Steve did all of the test flying himself. 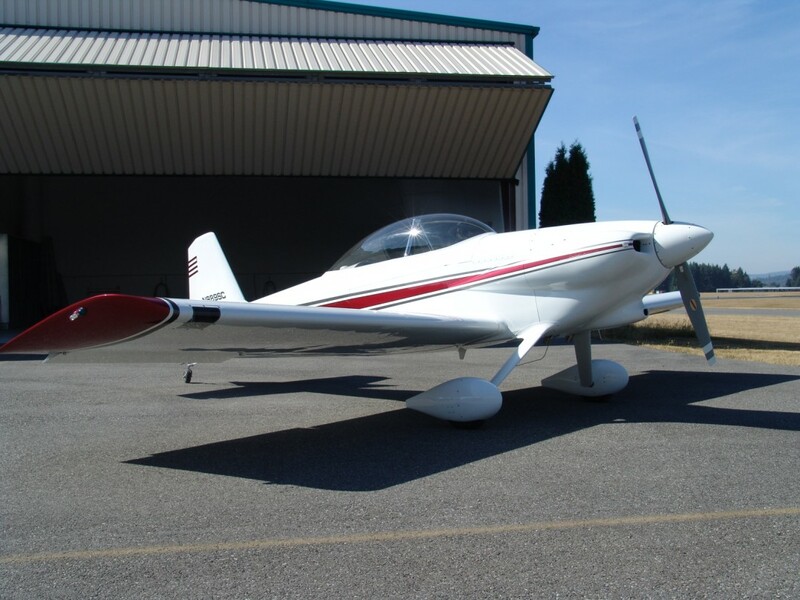 The right photo shows Steve’s RV-4 just after returning from a professional paint shop. Steve designed the paint scheme but elected to have the painting done by a local shop.